Unlike my Blueberry Chia Fizz drink recipe, this one uses muddled fruit. I did this on purpose because it’s much faster to put together this way. And is more easily achievable if you’re looking to make a drink for one or two people only. I find the blueberry syrup is only worth it if you want to make a pitcher for you and some friends. So anywho, you can make this drink pretty fast, but it won’t have as strong a flavor as it would if you made a fruit-infused simple syrup. I don’t know about you, but some days, this is preferred. 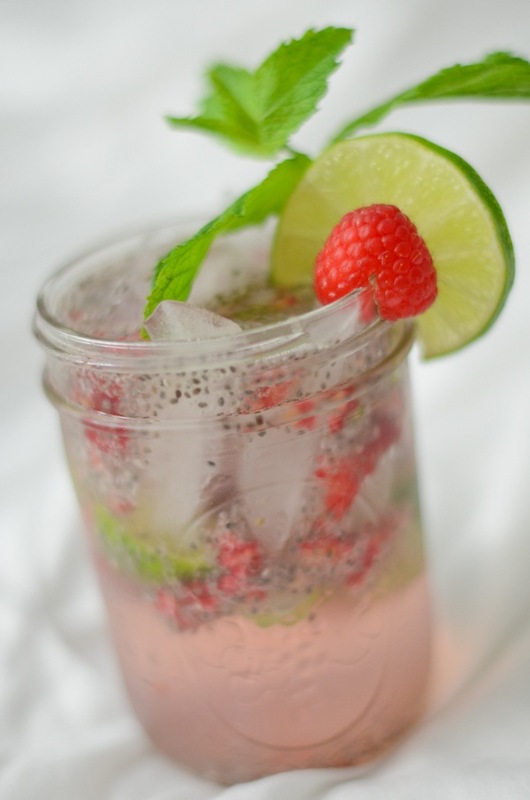 The only thing that really slows this Raspberry Lime Chia Fresca Drink Recipe down is soaking the chia seeds. But you’ll be rewarded when they plump up nicely. They’re more fun to drink this way. Chia seeds provide fiber (25 grams give you 6.9 grams of fiber) as well as calcium, phosphorus, magnesium, manganese, copper, iron, molybdenum, niacin, and zinc. By the way, I used a fork to muddle my drink, but I think a muddler would have been better. I just ordered this cocktail muddler (with mixing spoon) from Amazon and plan to use it in the future. It should be especially good for recipes where you need to muddle mint. 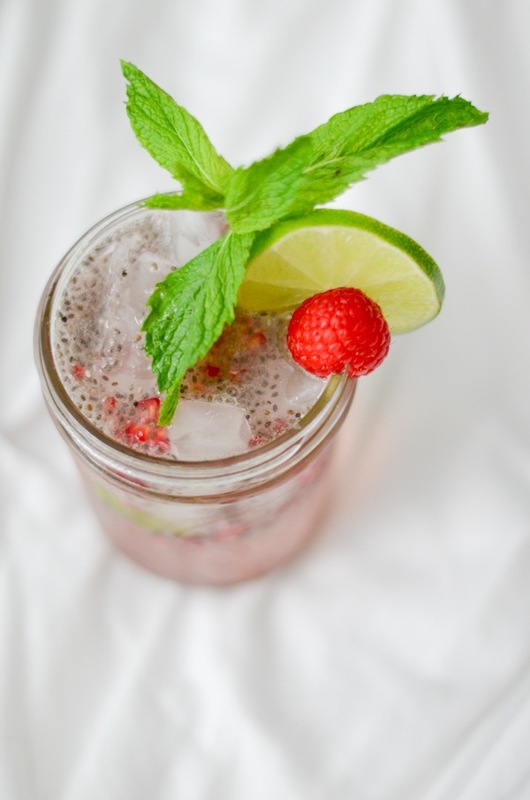 This refreshing Raspberry Lime Chia Fizz Drink recipe is so fast and easy. It’s perfect for a hot summer day when you want something more special than plain water that’s still healthy. I like mine lightly sweetened, but feel free to add more honey/sweetener to your taste preference. Whisk water and honey together in a large cup. 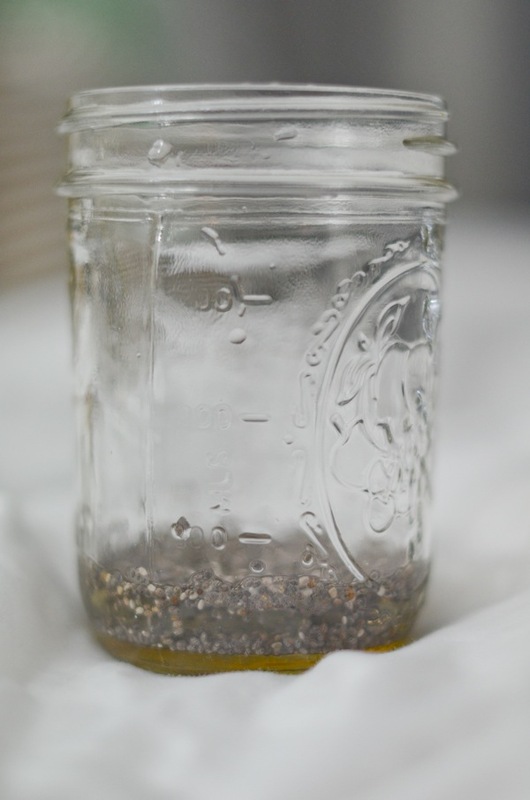 Stir in chia seeds and set in fridge for at least ten minutes so chia seeds can soak up some of the liquid. Add raspberries and lime to the cup. Muddle with a muddler tool or use the back of a fork. Pour in San Pellegrino. Add ice. Add garnish, if using. Enjoy! 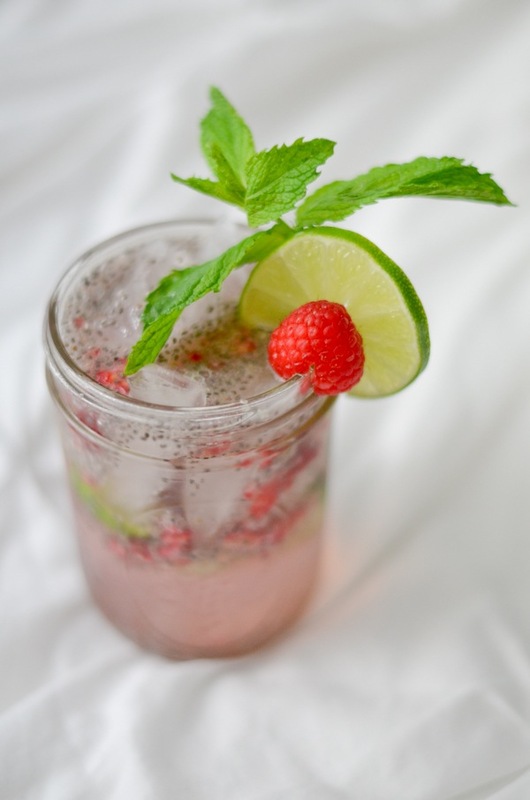 Hope you enjoy this Raspberry Lime Chia Fresca Drink Recipe. Thanks for reading!